Sunday Riley's Luna Oil. | By Millie. Lately I have been beyond obsessed with skincare, and trying new brands and products always excites me. I've always adored creating my skincare routines with products my skin loves, but have been put off at the same time to try anything new, just incase my skin doesn't agree. 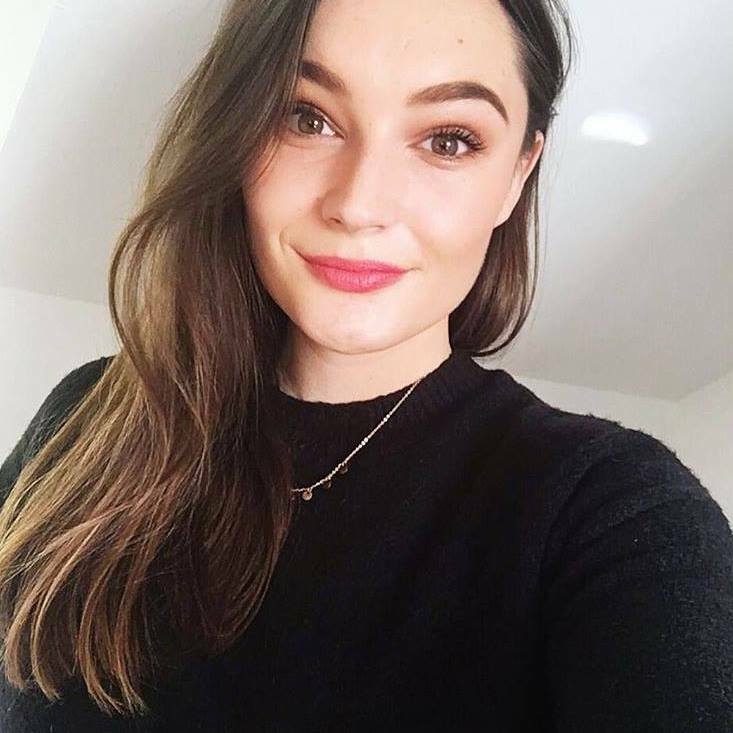 Blogging about beauty does mean that I feel somewhat obliged to branch out and let you guys know if certain products are worth the hype, or high price tag, or in this case, both! 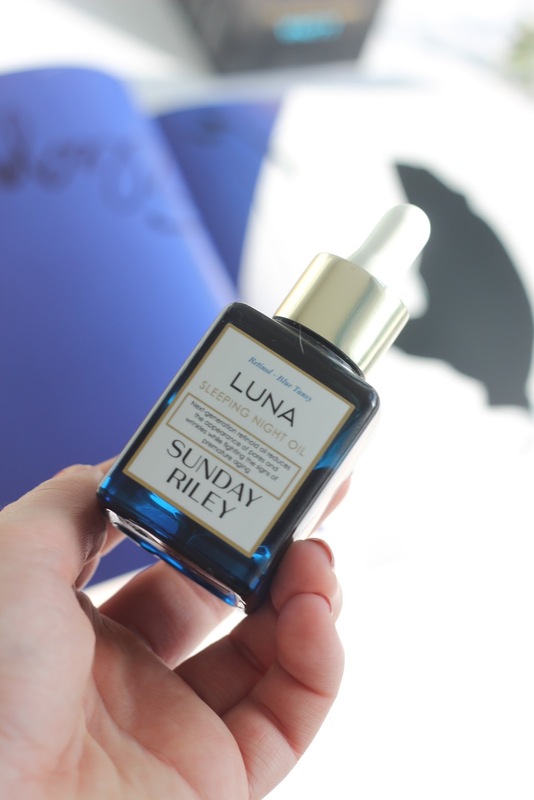 I'm sure you're all familiar with the Sunday Riley Luna Oil by now, whether you have tried it or not. Everyone and their mother seems to be head over heels for this oil, so of course, I had to give it a go myself. I find it hard to stray from my Kiehl's Midnight Recovery Oil, as many of you may know, but I do make the odd exception if something sounds amazing. At £85, I almost cried handing my card over, but I know that oils last for ages and give incredible results so I can kind of justify it (not really, it's still hella pricey!). Oils are traditionally used as a final step in your skincare routine and can be massaged in right before bed to get to work overnight. It is a very interesting shade of blue, very cool but scary at the same time! Don't worry it doesn't turn your skin blue, but it does initially apply some of that pigment but it won't stick around once you press it in. This is definitely more of a treatment oil, so it will provide your skin which much more that just hydration. I do find that investing in some sort of oil is key when compiling your evening (or morning) skincare routine, as you can get benefits you simply can't with a basic cleanser or moisturiser. This oil is all about Retinol, pretty much the only skincare ingredient which is proven to help out with fine lines and wrinkles. I'm 21, so not quite there yet with the anti-agening products, but the other benefits of this means it's not going to waste and I can still get results. Some of the other claims are to rejuvenate tired skin, refine the appearance of pores and help the skins overall elasticity...sign me up! I've been using this for about a month, and I think the biggest difference I have seen has been my pores. I'm not sure why, but over the past 6 months, my pores have been a real issue for me. They always seem to be clogged, no matter how many times I cleanse and use clay masks. Since using this, my nose and chin has been so much clearer and I get so many less blackheads - thank the lord. I'll get back to you in a 10 years and let you know how the ageing prevention properties are going, but so far the main differences has been the texture and overall complexion of my skins surface. I'm impressed, I must say. Will I repurchase though...hmmm...depends how long it lasts I think! Have you tried any Sunday Riley products, or they Luna Oil? I'd love to know your thoughts, and any of her other products you love!